This parish is comprised of St Johns - Ballan, St Johns - Bungaree, St James - Morrisons. Provides contacts, service times, background, and an events diary. Polish-Australian website devoted to post World War II migration to Australia focusing on Polish immigration and settlement in Australia, together with vintage photos, reading lists and links. AIWA is an organisation dedicated to highlighting and promoting Anglo-Indian culture to all people. We organise social functions, and offer services to newly arrived AIs, to help them adjust to life in Australia. Rigpa Australia is a Tibetan Buddhist organisation which has centres in most of Australias capital cities. Rigpa was established by Sogyal Rinpoche, author of Tibetan Book of Living and Dying. Rigpa centres provide study and practice programs, courses, access to teachings other many other services. 5 Send Me To Australia, Please A U.S.
A U.S. high school student needs donations for an educational tour of Australia. Perth, Western Australia, Australia. District 9450.
guide to weddings in australia. includes articles and advice. australia group protesting against the consumption of dogs and cats in south korea. Assisting those researching the name and its application within Australia. Includes associated link to the Clann Morgainn. Discussion for saints in Australia and those who are interested in the Church in Australia. Yahoo group designed to unite those researching the name within Australia or with connections in the UK and Ireland. Free members only section. This is the site for the magazine of the same name, published in Australia, about Italian culture and affairs and the contribution of Italians to Australia, including specially researched historical accounts. Australia based consultants that offer a range of services combining expertise from the diverse fields of illicit drugs and electronic communication. History, ministries and contacts of the Paulist Missionaries working in Australia - Mission Spirituality and Education, Migrant Chaplaincy and Parishes. Community events sponsored by the Bahai Communities of South Australia, Victoria and Western Australia. Information, programs for download and mailing list. Ex-High Priest of a Neo-Pagan Coven in Australia. Forum for ex-Witches. Aims to educate about Paganism, Wicca, Witchcraft and the occult in a fair & truthful manner. offering cremation services in perth, australia. also offering a harley davidson with hearse for fallen riders and kiwi funerals. An Australia based rave and dance party events list. Includes pictures and jokes. Online access to Bahai book titles in English. Administered by the National Spiritual Assembly of Australia. wedding ceremony services in the sydney metropolitan area of nsw, australia. State-level organization of this society for young women. Geraldton, Western Australia, Australia. District 9450.
perth, australia firm offering services for insurance, transport and marine law. If the business hours of The Mission District of St Augustine of Canterbury in may vary on holidays like Valentine’s Day, Washington’s Birthday, St. Patrick’s Day, Easter, Easter eve and Mother’s day. We display standard opening hours and price ranges in our profile site. 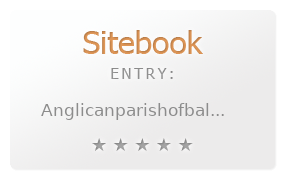 We recommend to check out anglicanparishofballan-bungaree.websyte.com.au/ for further information. You can also search for Alternatives for anglicanparishofballan-bungaree.websyte.com.au/ on our Review Site Sitebook.org All trademarks are the property of their respective owners. If we should delete this entry, please send us a short E-Mail.